Beautiful land Can Tho is located in the heart of Mekong Delta. It features the economic culture living style. With the advantage it gets from the rivers, Can Tho will give you the short but interesting picnic time ever. Cai Rang floating market belongs to Cai Rang district, Can Tho city. 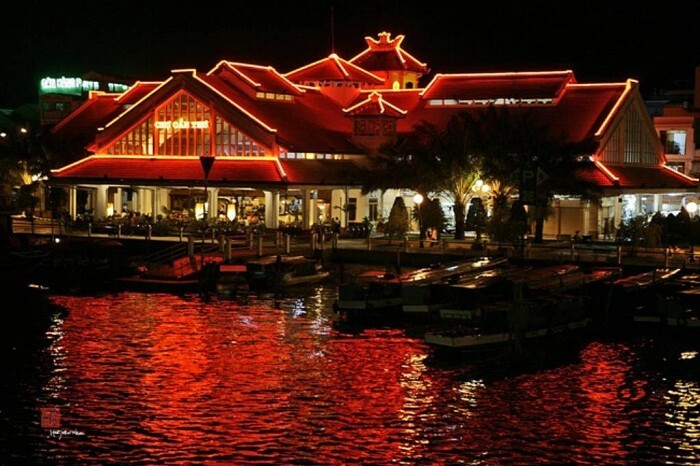 It is 30-minute canoe apart from Ninh Kieu wharf. 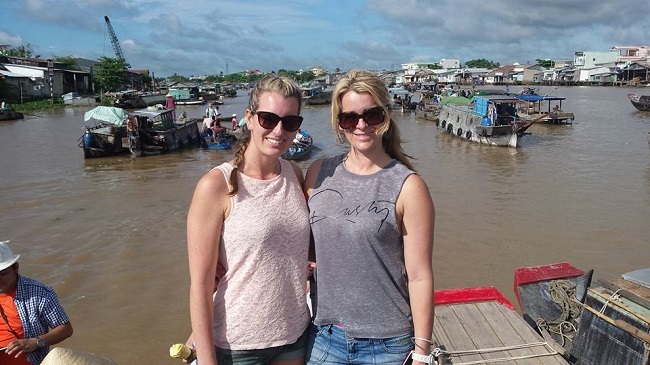 Cai Rang floating market specializes in wholesale of agriculture products and local fruits. If you travel to Can Tho but skip Cai Rang market, it would mean that you have not known about this land, Tay Do (meaning “Western capital”). Can Tho gardens are available everywhere in both roads traffic and water traffic in Can Tho. Characteristics: The green gardens are attracting more and more domestic and international tourists to come and visit. My Khanh tourist garden, Mr Sau Duong home garden, Binh Thuy orchid garden, arch-shaped garden on Phong Dien river and Phung Hiep river are typical ones. Also, other family gardens in O Mon, Thot Not are developing as well. Apart from Can Tho city, tourists can go along Highway 1A to Soc Trang direction, pass Dau Sau bridge and turn right when you reach near Cai Rang bridge. After that, you go straight ahead for 6km and you can see My Khanh tourist garden. My Khanh garden is 2,2 hectares wide and it has more than 20 kinds of fruits, flowers and many types of birds and animals such as turtles, snakes, crabs, shrimps and so on. Location: Bang Lang stork sanctuary belongs to hamlet Thoi Binh, Thoi Thuan commune, Thot Not district, Can Tho city. Characteristics: the largest sanctuary in Mekong Delta. Following the direction from Can Tho city to Long Xuyen (An Giang) city. When you get out of Thot Not commune and go for 5 more kilometers, you can reach Bang Lang sanctuary. 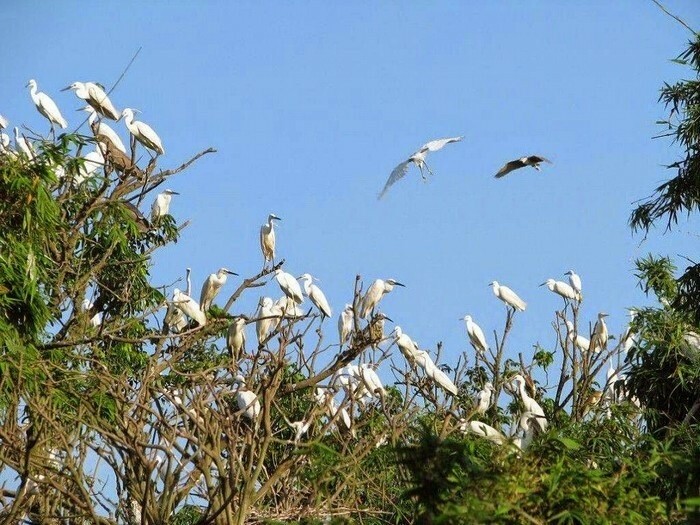 With an area of 1.3 ha, Bang Lang stork sanctuary is home for thousands of storks, including fly stork, egret, heron, pelican, woodpecker, and so on. Tourists can observe those birds gliding, perching on bamboos’ branches winging in the wind and following their flocks. Tourists also experience the rustic feeling while walking along the bank of a small river, underneath shady trees and enjoying the view of such an immense clear water area. Those are rice fields after reaping in the floating season. 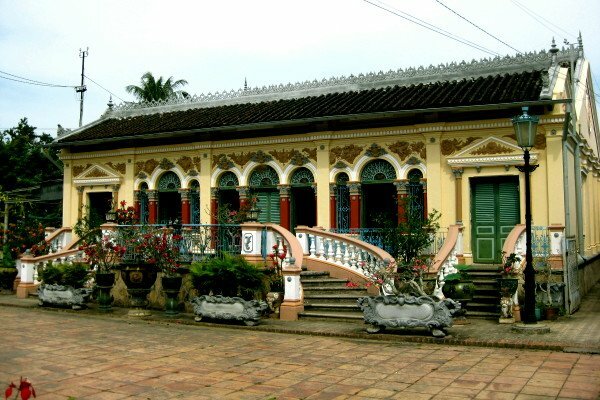 Location: Binh Thuy ancient house situated on Bui Huu Nghia street, Ward Binh Thuy, Binh Thuy district, Can Tho city. Characteristics: Old house with two roofs and five compartments. It was built by Duong family in 1870 and features the French architecture. The house was modeled as the design of French architecture with the floor of 1 meter higher than the ground. An entrance to the house are four bow-shaped side stairs and connects the house with the large courtyard. The house has high ceiling and many decorative motifs. Thanks to the simple airy system of doors and windows, the house is always cool. Embellishing the beauty is embossed reliefs decorated outside facade. This is a type of intact old house that rarely exists nowadays. Tourists can discover the daily life, culture as well as evolution of the residents here from different impacts in the transition of the two centuries. The entire black and red rose-patterned bricks paved the floor as well as the iron fence casted to protect the campus were all imported from France. Location: Chua Ong is placed on Hai Ba Trung street, Ward Tan An, Ninh Kieu district, Can Tho city. 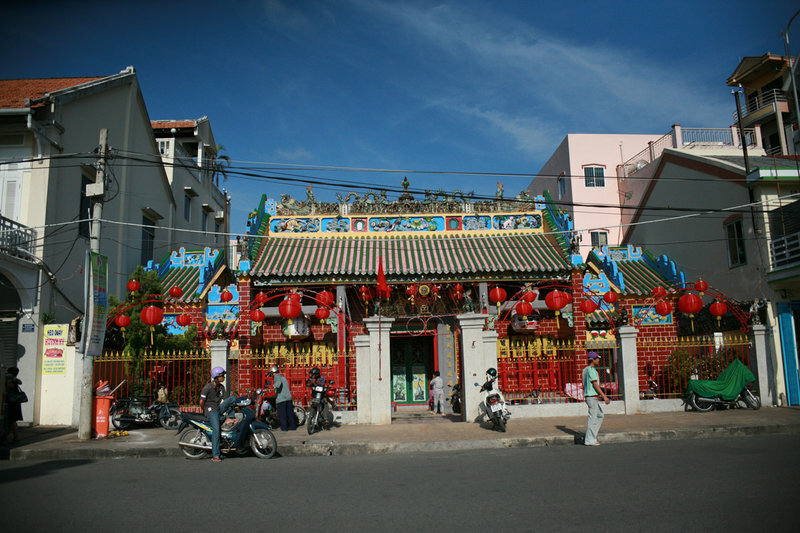 Characteristics: Chua Ong is the daily spiritual and cultural place of Chinese-Vietnamese living in Can Tho. The pagoda was recognized by the Ministry of Culture-Information as an art architectural national monument in 1993. Chua Ong with a unique architecture is remained intact like the beginning. Chua Ong was built from 1894 to 1896 on the land of 532 square meters. It is roofed with yin yang tiles with the edge which are covered with lines of dark green glazed pipe-shaped tiles. On the top of the roof there is a number of multi-colour porcelain figures, such as two dragons flanking the moon, carp changing into dragons, and are statues of people holding the sun and the moon. Quan Cong, a General of the three-kingdom period in ancient China and an example of loyalty to his King, Nam Hai Bodhisattva Kwan Yin, Thai Bach Tinh Quan, the Genie of the earth, and Dong Vinh are all worshipped here. Address: 612 Cach Mang Thang Tam street, An Thoi Ward, Binh Thuy district, Can Tho city. 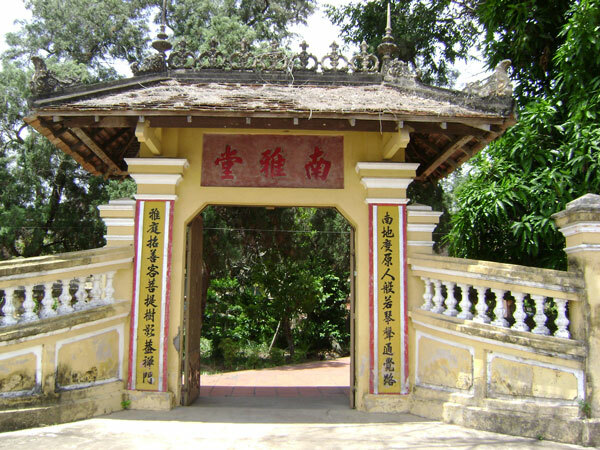 Characteristics: The construction of Nam Nha pagoda was established by Mr. Nguyen Giac Nguyen in 1895. It is also known as the name Minh Su. At first, it was a medicinal herb pharmacy called Nam Nha Duong. It was a place for keeping liaison and keeping patriots against the French colonialists. The patriotic scholars in “Viet Nam Quang Phuc Hoi” group mainly met and worked here. In 1917, the pagoda was rebuilt. The yard was widen and planted with more trees. In the heart of the yard, a bonsai which are 2-meter high was set up. In the main worship are an altar worshipping Giac Nguyen (the founder), Lich Dai Sensei, and a three-religion altar with three bronze statues of Sakyamuni Buddha, Confucius and Laozi. Both sides of the main worship are two 5-compartment buildings for male and female followers. Behind the pagoda is the tomb site – the resting place of Dong Du movement patriots and the pagoda’s builders. Todays, tourist come here can not only enjoy the solemn and ancient beauty of Nam Nha pagoda, they also discover the activities of patriotic scholars in Dong Du movement, Special Committee of Hau Giang, Nam Ky Party Committee in the early hardships of Vietnam’s revolution. Location: Apart about 1km from the central of Can Tho to the west of the Hau river. It located inside the Can Tho International Exhibition. 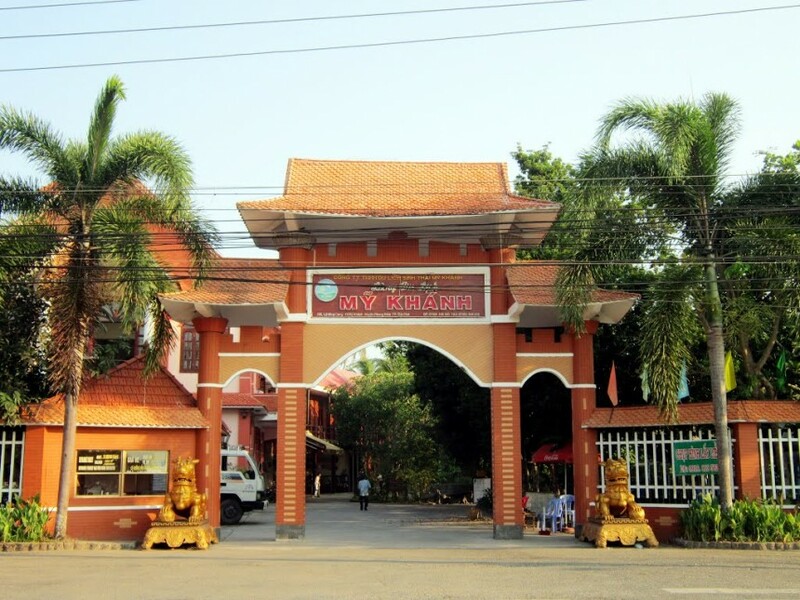 Characteristics: Tay Do market is the main wholesale center of Southern province as well as an attractive tourist attraction and an interesting recreation. Tay Do night market is considered to be a typical cultural tourism in Can Tho even it has just been opened recently. Tay Do attracts not only the locals but also tourists from far away. Previously, Tay Do market is a hub market with the activity of delivery many items from and to several locals and abroad. Besides, it also has cuisine service, recreation and so on. Because of its importance, Tay Do has become a major trading center of the southern provinces.